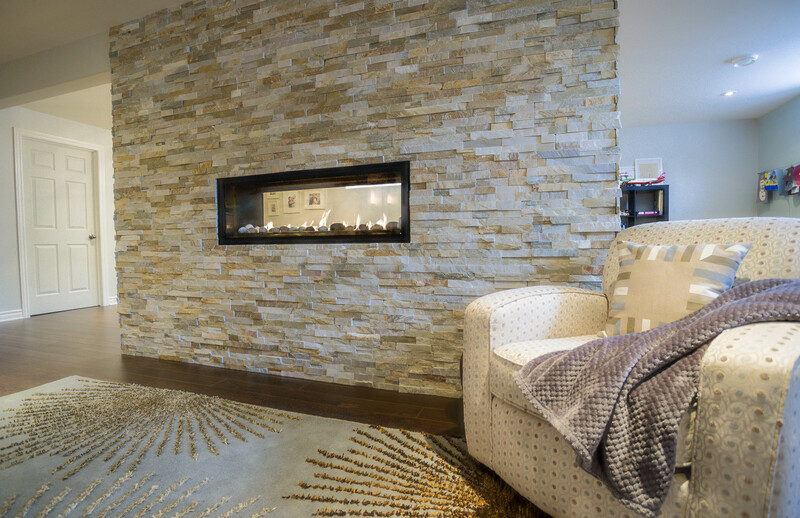 Cultured stone can enhance any room with its beautiful texture and superb colours. Scott installed cultured stone in our basement.This particular colour and stone has been popular at the big box stores here in Ottawa.We bought ours at Home Depot on sale. It really does make the basement look so much cozier. We finally decided on how we would use our basement and encased two jack posts that were in the middle of our basement with a fireplace. This allowed us to have separate spaces. One for play, tv watching and one space for our air hockey table. I think it compliments the basement colours and adds some depth to the room. We also have cultured stone upstairs. It has a completely different look giving our white walls some texture. The price difference as well as the quality can be quite a lot different when comparing stone. 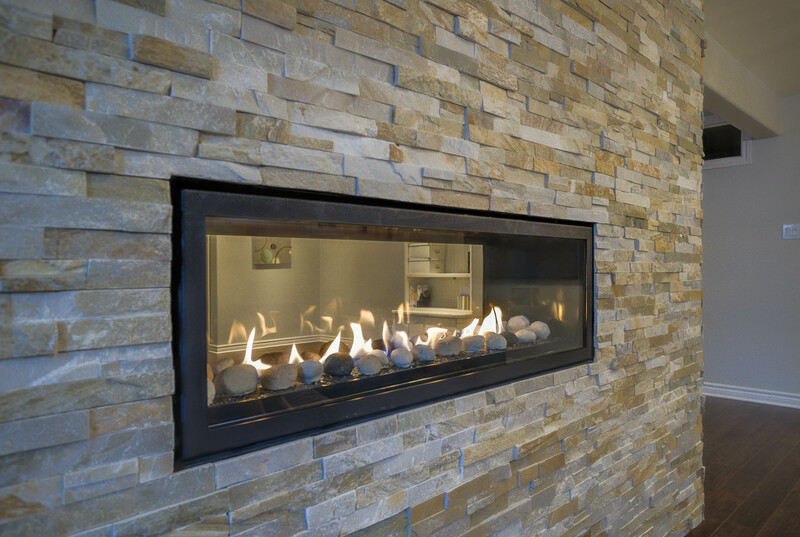 A few places that we know sell beautiful cultured stone are Merkley Supply and The Fireplace Center in Ottawa. Other less expensive places to buy are Home Depot and Lowe’s. Interlocking stone is harder to install if the pieces are not uniform. Rectangular stone is easier to install. Spending more on a better quality stone can save on time and installation. Most manufacturers recommend thin set with a wire mesh but SikaBond construction adhesive can be used instead. It is a glue that still remains flexible when cured. Leveling is critical as you build your layers. The first row needs to be leveled. Layout your pieces so you have a plan before you start applying adhesive/thin set. Take your time…….you do not want anything looking wonky! Only do 4 to 5 rows at a time. You need time for adhesive to set.